The MCU's Avengers team member Hawkeye will co-star in a new series for Disney's streaming service, in which he will train a younger protogé who, it's thought, may even appear in "Avengers: Endgame." Jeremy Renner has been booked for the Disney+ service's fourth rumored Avengers series, according to Variety. 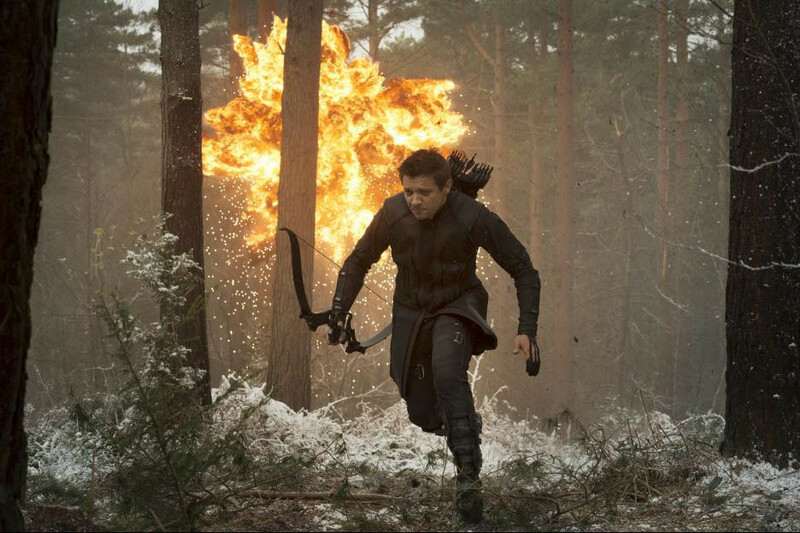 Once again, he'll play the MCU character of Clint Barton, better known as bow and arrow marksman Hawkeye. The difference is that this time he'll be training a successor who, as in the comic book continuity, is called Kate Bishop. It's not known who'd play Kate, but Katherine Langford, the "13 Reasons Why" star on the "Avengers: Endgame" cast list in an undefined role, is considered a likely candidate. Renner has been part of the Marvel Cinematic Universe since a minor appearance in "Thor," paving the way for supporting roles in "Avengers," "Avengers: Age of Ultron" and "Captain America: Civil War." His character was absent for "Avengers: Infinity War" but has a full-length sleeve tattoo and thick mohawk hairstyle in trailers for "Avengers: Endgame" -- unusually eye-catching motifs for the background character. The Hawkeye project joins three other rumored Disney+ series splintering off from the MCU, those being episodic vehicles for Thor's mischievous adoptive brother Loki, a team-up for AI embodiment The Vision and material manipulator Scarlet Witch, and another partnership between Falcon and Winter Soldier.